Astro Crane strives to maintain long, successful and dedicated customer relationships for projects at any scale. The diverse fleet of residential and industrial cranes are specially selected to meet nearly any application and complete jobs with the highest level of quality, safety and efficiency. To ensure a thriving working relationship, Astro Crane requires a business credit check before engaging any vehicle. Astro Crane appreciates your business and provides every customer with helpful guidance and committed service. Dedication to quality, high-functioning technology, versatility and complete, caring customer service has allowed Astro Crane to grow from a single-crane operation in 1980 to the premier crane service company and crane rental service in Massachusetts and the greater New England area. 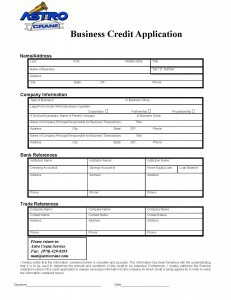 The credit application includes essential business financial information, including bank and trade references. Credit applications are processed with the highest level of security and expedited service, so you can begin or conclude your project quickly. Click here, or on the image below to download the file and input your info electronically.